Sturdy and yet flexible, with a rather textile character. Traditionally made – by the oldest German manufacturer of foxtail chains. Continuously adjustable in length with the vario clasp. 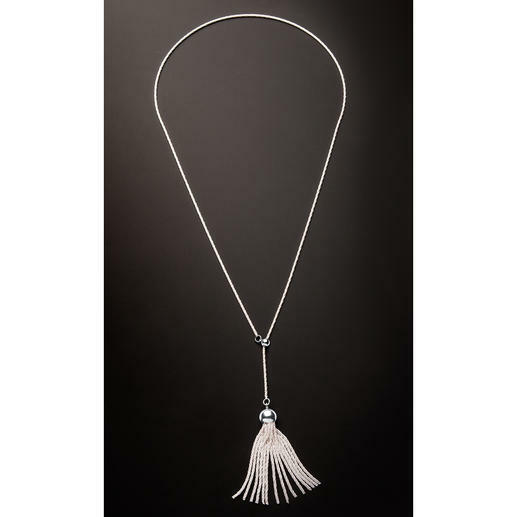 The foxtail chain from Babylonian times meets today’s tassel trend. 925 sterling silver. Handmade pendant. Quality made in Germany. Over 5,000 years ago the foxtail chain was introduced, and was the first really delicate piece of jewellery. Until approx. 3,000 B.C. only heavy, rough anchor and curb chains for general use were known. No longer made from rings linked to one another, but from tightly intertwined loops. The twisted finish gives the chain a silky smooth surface, and makes it soft and scratch-free to wear around your neck. The Hanauer jewellery manufacturer, founded in 1866 by Friedrich Isaac Roediger, was purveyor to many European royals and aristocrats. It is still family owned. The manufacturer uses machines (some of which are more than 100 years old) to make necklaces of such excellent, hard to find quality. 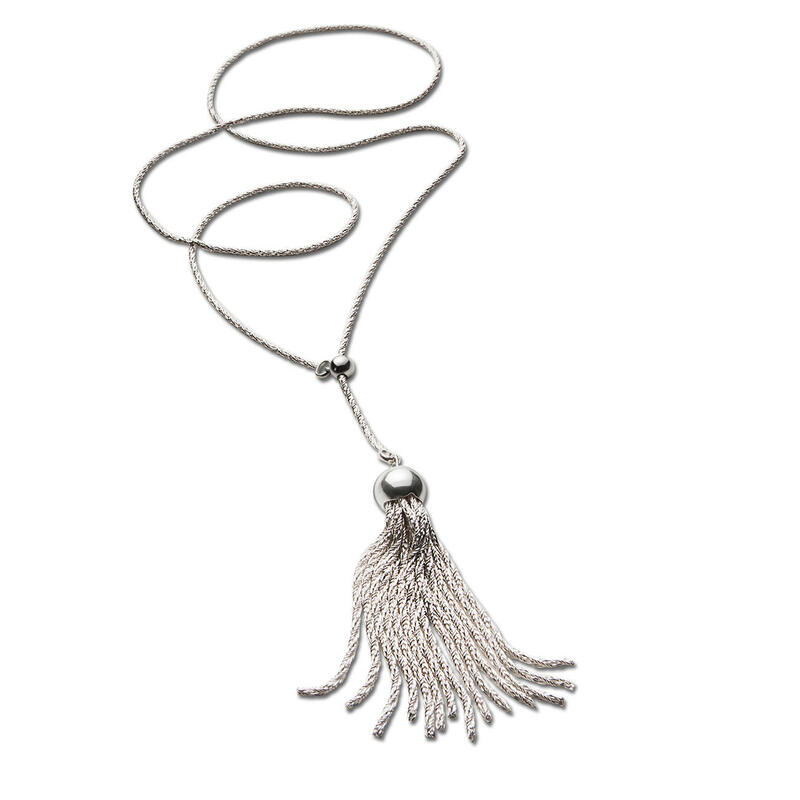 Simply by shifting the small ball, the chain can be adapted to fit every neckline and collar shape. 925 sterling silver. Tassel length 5cm (2"). Chain length 70cm (27.6"). Weight approx. 22g (0.8 oz).